My latest Beatdown girl, Diabolo! 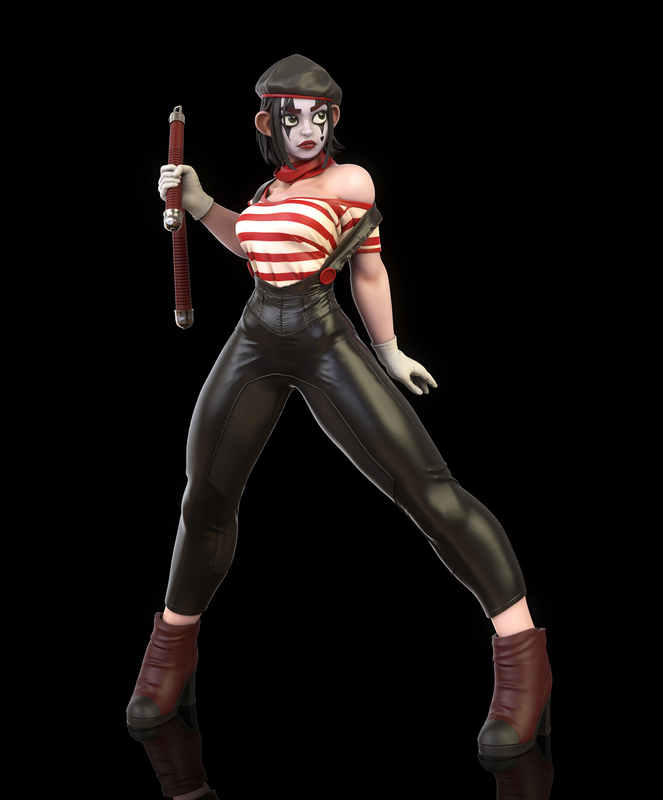 She's an angry nunchuk wielding mime artist and she's the first of the "bad guys". She was sculpted in Zbrush, her clothes were made in Marvelous Designer and she was rendered in Keyshot.